Fatal or harmful if swallowed. that may come in contact with food. Please read the back of card for full instructions and safety advice upon delivery. 40g / 1.4 oz. tube. 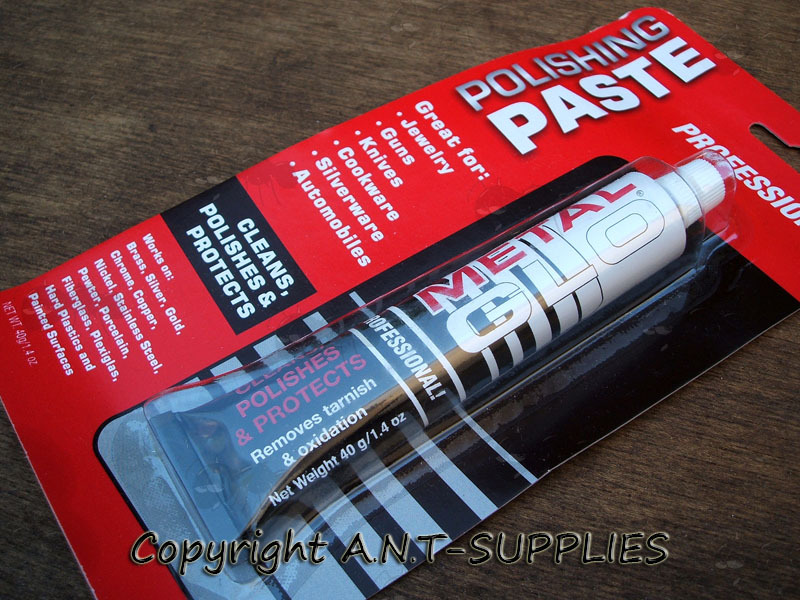 Great for Jewellry, Guns, Knives, Cookware, Silverware, Automobiles. Pewter, Porcelain, Fiberglas, Plexiglas, Hard Plastic and Painted Surfaces. 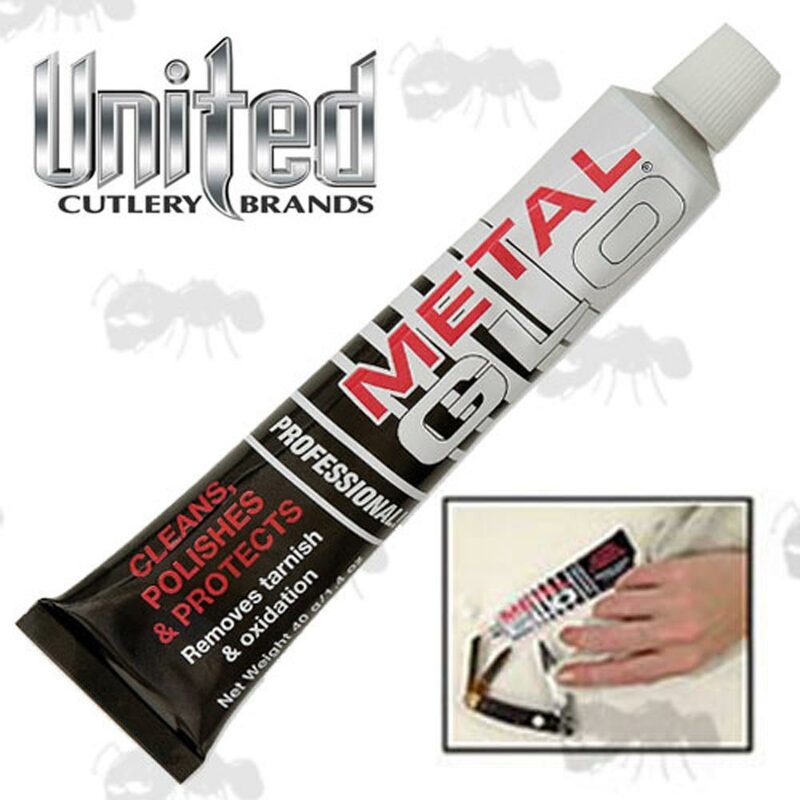 Metal Glo is not recommended for anodized, gun blued or other thin plated surfaces such as blade etches.